From automotive and electrical through to mining and construction, many industries demand custom plastic tube solutions that can be relied on to fulfil a specific need. At Mojak Plastics, we specialise in the manufacture and supply of extruded plastic tubing, including custom designed products that are suitable for a wide range of industries and applications. We work closely with our customers throughout the design and production stages to produce high-quality plastic tubing that is made to precise specifications, including your choice of shape, colour and material. We have the capability and equipment to provide tubing in various sizes and diameters, ensuring the needs of all customers are met in full. With over 25 years of experience in the plastic extrusion industry, Mojak Plastics has the necessary expertise and accumulated knowledge to provide assistance with the development of new products. Whether you have a fleshed out plan or simply an initial idea, we can help you to realise your concept through the creation of custom extruded plastic tubes and profiles. TPU tubing (thermoplastic polyurethane) for sheathing requiring superior abrasion resistance and good flexibility. This range of products can also be manufactured to the requirements of pneumatic tubing applications. Clear PVC tubing for medical and fluid carrying applications such as hosing for spa and pool installations. TPE tubing (thermoplastic elastomer) for sheathing requiring ‘rubber-like’ properties such as good impact strength and temperature stability. Cable grade PVC tubing which is designed for electrical sheathing and insulation. This is available in V75 and V90HT ratings from 1mm ID through to 50mm ID. In addition to our range of smooth tubing, we also manufacture a wide range of rigid smooth tubing. These are all vacuum calibrated products, ensuring very tight sizing tolerances are maintained. PP (polypropylene) tubing for a broad range of applications requiring good dimensional stability, chemical resistance and relatively high service temperatures. LDPE (low density polyethylene) tubing for semi-rigid applications such as water and air lines. 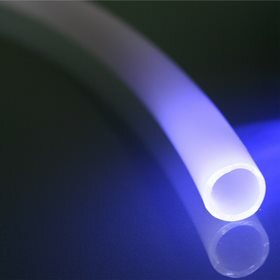 PC (polycarbonate) tubing for applications requiring toughness and clarity with good UV properties. 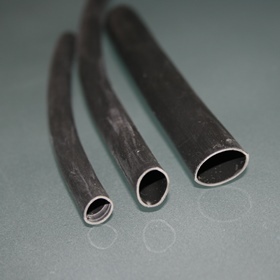 PA (polyamide/nylon) tubing for tough high heat applications needing good chemical resistance. PVCR (rigid polyvinyl chloride) tubing, a cost-effective tubing used for applications such as rigid electrical conduit and irrigation lines. PMMA (acrylic) tubing, a durable hard tubing exhibiting excellent clarity and good weatherability. To learn more about our plastic tubing extrusion process, or to arrange for a quote, call us today on (03) 9462 1025. Alternatively, you can also submit an enquiry through our online contact form.